The new gym will include an updated layout, state-of-the-art equipment and new flooring. A large functional training area with a purpose built, freestanding gym rig – which can accommodate functional and suspended body weight training – will also be introduced to the gym area. This is fantastic news for residents and everyone who uses Darwen Leisure Centre. This investment has been achieved without any additional financial cost to the council and so represents great value for money as well as improving the offer for customers. The changes will be a huge improvement to the customer experience at Darwen Leisure Centre and bring the gym right up to date. I’m excited to see how it will all look when it’s finished. The improvements follow feedback from members during a consultation period. An overwhelming number said they wanted to see a bigger and better range of gym equipment. The new equipment, provided by Precor, will include state-of-the-art-touch screen CV equipment, top-of-the-range spinning bikes, purpose-built HIIT cardio equipment and a dedicated weight training area. Work is expected to be carried out over the Christmas period to minimise the impact on members. Exercise class and pool timetables are expected to remain the same during the renovation. The Investment at Darwen Leisure Centre is fantastic news as part of our mission to support residents to be more active, more often. We recognise that fitness trends and expectations from customers have changed over the years and it’s important to try respond to those. 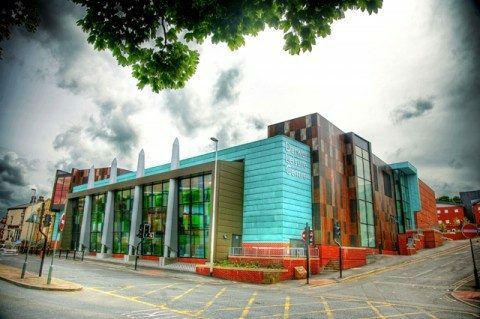 Evidence shows that physical activity has a huge impact on overall health and wellbeing and the new Darwen Leisure Centre gym will play an active role in attracting new people to physical activity as well as making the experience more interesting and exciting for those who are already active.